When will be El Secreto de Selena next episode air date? Is El Secreto de Selena renewed or cancelled? Where to countdown El Secreto de Selena air dates? Is El Secreto de Selena worth watching? El Secreto de Selena (Selena's Secret) is based on the bestselling book by Emmy Award-winning journalist María Celeste Arrarás, tells the revealing story behind the tragic death of beloved Mexican-American singer Selena Quintanilla. There is no doubt that Yolanda Saldívar pulled the trigger on the superstar, but does anyone know what really happened moments before the crime took place? El Secreto de Selena pulls together the pieces of this puzzle and depicts what really happened on that rainy day in March of 1995. El Secreto de Selena next episode air date provides TVMaze for you.  EpisoDate.com is your TV show guide to Countdown El Secreto de Selena Episode Air Dates and to stay in touch with El Secreto de Selena next episode Air Date and your others favorite TV Shows. Add the shows you like to a "Watchlist" and let the site take it from there.